Is the change of seasons making your skin turn dry and cracked? Are you troubled with dry, scaly, and dull looking skin? Is dry skin affecting you cosmetically? If you nodded along with an agreement, following certain effective home remedies can help you avoid having dry skin. Scroll down to discover some amazing home remedies that can help you prevent or get rid of dry skin and have smooth, healthy skin. How Do You Define Dry Skin? Dry skin is a condition which can develop on any part of your body. In a few conditions, all you need to do is to keep your skin moist. However, in other conditions, there might be pathological underlying causes as well. For this, you need to consult your doctor. Dry skin can cause severe itching which can then lead to bleeding. It may cause scaling and may also develop cracks in your skin. What Are The Causes Of Developing Dry Skin? Your skin can turn dry when you are exposed to the dry weather during the winters and hot showers and bath. Also, you can develop dry skin if your skin is exposed to certain chemicals, certain pathologically conditions, or due to the age factor. Older people are more likely to have dry skin, as your skin naturally with the age produces less amount of oil. Also, too much of beauty treatment, exfoliation, and frequent change of creams applications can also cause dry skin. Here are some effective home remedies that can help prevent your skin from turning dry. Aloe Vera is known for its powerful anti-inflammatory benefits, and it is very good for dry skin. Although aloe vera is now a major ingredient in most moisturizing creams, it is better to use the natural gel which is extracted from the plant directly. You can apply the gel directly to your skin and leave it overnight. Aloe Vera helps in the production of collagen and elastin; thus it helps in restoring the elasticity and suppleness of your skin. Because of its incredible anti-inflammatory and healing properties, the application of aloe vera can help in treating psoriasis and eczema patients as well. Oils play a great role in keeping your skin moist. They contain natural fatty acids in them that help in restoring your skin’s fatty acid reserve. Coconut oil, argan oil, olive oil, and jojoba oil are some oils that can do wonders to help prevent you from developing dry, scaly skin. Apply these oils to your dry skin and leave them overnight or for 45 mins, and you will experience their positive effect on your skin. The anti-inflammatory and anti-microbial properties present in these oils help in reducing the itching and flakiness of your skin. Petroleum jelly is known as a natural skin soother. It helps in reducing the dryness and the itching of the skin. It is quite safe and inexpensive and can be applied to any part of your body. You can apply it as often you like. Yes, you read it right, it’s oats. Oats is a dry skin fix from your kitchen cabinet. It contains a chemical called avenanthramides that fight inflammation and redness. Oats help in reducing the itching. Grind some oats and rub the paste on to your skin before having a bath. Also, you can add yogurt to the ground oats and leave it as a mask on your skin. Later, rinse it off while you bathe or with lukewarm water. The not just external application is important but it is also essential to keep your skin moist internally. 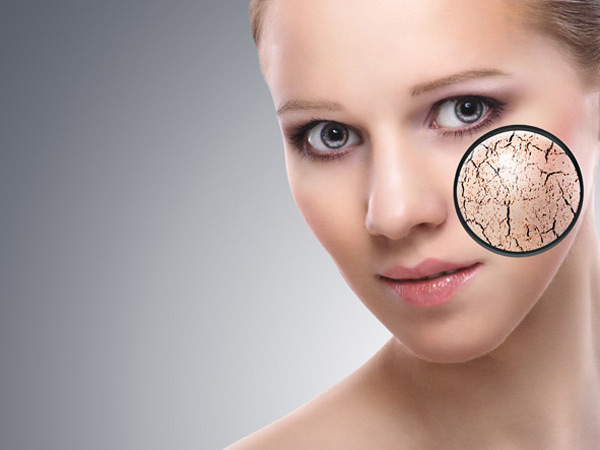 Several studies have revealed that people who drink less amount of water often end up developing dry skin. While on the other hand, people who drink plenty of water have moist and radiant looking skin. We all love to go out for swimming during the months of hot summer, particularly children love to take a dip in the swimming pools. Even though swimming is one of the fun summer activities, if you do not follow the precautionary measures while going for swimming, you are likely to develop dry skin. This happens when you avoid taking a shower after you swim. It is important to take a shower after you are done with the swimming in order to get rid of the excess of chlorine accumulated on your skin. Apply a good moisturizer, with glycerin as its main ingredient, to your skin, as it helps in locking the moisture and keeps the dryness at bay. Various researchers state that flaxseed oil and fish contain essential fatty acids in them. These essential fatty acids help in keeping your skin hydrated. Vegetarians can go for flaxseeds, while non-vegetarians can have more fish in their diet. These are certain home remedies for dry skin that will help you look more radiant and help in keeping your beauty safe. 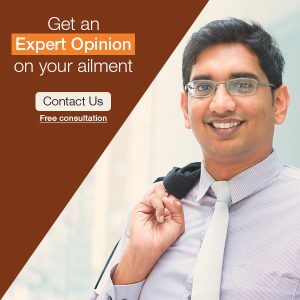 But if you are having unusual pathologically dry skin, which can be due to psoriasis or eczema, these home remedies alone would not be enough. Make sure you consult a doctor for the same as he will help you guide appropriately for the same.